SAN DIEGO â Nov. 13, 2013 â The National Defense Industrial Association (NDIA) has selected the F-35 communications, navigation and identification (CNI) team from Northrop Grumman Corporation (NYSE:NOC) for the 2013 Ferguson Systems Engineering Excellence Group Award. The Ferguson award is given for outstanding achievement in the practical application of systems engineering principles. For selection, systems engineering process or concept contributions should demonstrate how they helped achieve significant cost savings, increased mission capabilities and substantially increased performance. "This is well-deserved recognition for the team that has focused on engineering excellence and continuous affordability improvement for more than a decade," said Mike Twyman, vice president and general manager of defense systems division for Northrop Grumman Information Systems. "The F-35 CNI system's ability to reliably and efficiently deliver so much capability is a testament to that effort." 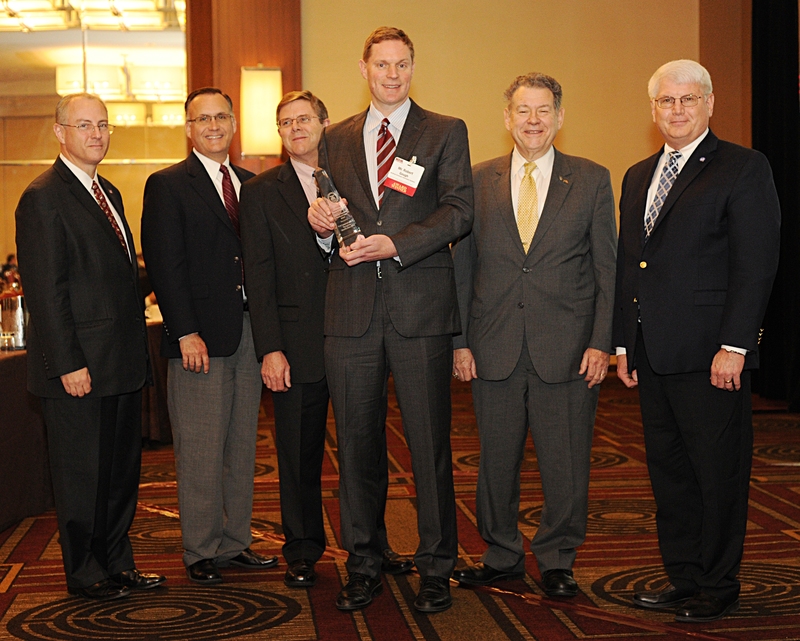 Northrop Grumman representatives accepted the award Oct. 29 at NDIA's 16th Annual Systems Engineering Conference in Arlington, Va. The award was established in 2003 to honor the memory of U.S. Air Force Lt. Gen. Thomas R. Ferguson Jr. whose leadership embodied the highest ideals in defense systems development and deployment. Northrop Grumman's integrated CNI system provides F-35 pilots with the capability of more than 27 avionics functions. By using its industry-leading software-defined radio technology, Northrop Grumman's design allows the simultaneous operation of multiple critical functions while greatly reducing size, weight and power demands on the advanced fighter aircraft.